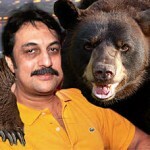 Shankar Sharma of First Global has a (bad) habit of springing surprises amongst his followers. Just two years ago, when the stock markets were in similar doldrums as they are now, Shankar Sharma had formulated the famous “lake of returns” theory. Based on pure logic, Shankar Sharma had explained that the “lake of returns” periodically gets filled up and then depleted. The best time to buy equities is when the lake is empty and the best time to sell equities is when the lake is full. Simple and clear logic. No scope for confusion. Vintage Shankar Sharma. However, now when the markets are in similar doldrums and the lake of returns is totally empty, Shankar Sharma sent the first shock wave by declaring that we were on a “growth cliff” and that the great crises of 2008 was just around the corner. This prophecy of Shankar Sharma sent investors running helter skelter, not knowing whether to dump stocks or to hold on to them. To assist bewildered investors, we, on our part, have formulated the theory that investors should adopt the “half-way house” approach whereby they buy stocks to take advantage of the already-low prices while keeping the gun powder dry to take advantage of further cracks in prices, if any. 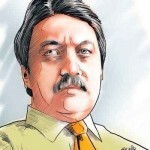 This way, investors gain irrespective of whether Shankar Sharma is right or wrong. This helped in soothing investors’ sentiments a bit. Now, barely have investors recovered from the first blow that Shankar Sharma has delivered the second one by declaring that Warren Buffett’s world famous theory of “forever holding period” which has guided “buy-n-hold” investors for generations is all wrong. In an article in the Financial Chronicle (My crystal ball says…), Shankar Sharma has propounded a powerful argument that the premise that equities give higher returns over the long run is “just plain wrong”. He argues that equities give you adequate risk-adjusted returns only over the short run of six months to two or three years but not over the long run. 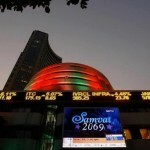 To support his theory, Shankar Sharma cites the example of the period between 1992 and 2003 and the period from 2007 to now when the stock markets has given no returns. Shankar Sharma also makes the grim prognosis that equities are a dying investment option worldwide and that investors are now waking up to the reality that equities are not for them. Shankar Sharma’s new theory reminds us of a similar theory proposed by S. P. Tulsian. S. P. Tulsian has advised that due to the extreme volatility in the market, even long-term investors should not feel shy of booking profits whenever they see a 5-10% gain. If you look at it objectively, you really can’t fault Shankar Sharma’s new theory. It is a fact that in the past decade or so, long-term “buy-n-hold” investments have just not worked. So, maybe it is time to switch gears to a quick-in and quick-out strategy to make a quick buck. Shankar Sharma’s stock picks with "Terrific Value"
If Shankar tells equities are not for long term, feels sorry for his foolishness… I mean it. Ignore these self made geniuses talking non-sense. The reality is equities and long-term are twins and inseparable. Don’t listen to forecasts, and don’t try to time the market. Most investors would do better by ignoring investment advice offered by these flash in the pan media experts because it tells them nothing about where the market is headed. Instead buy good businesses at bargain prices which have a great cash-flow, high ROE & dividend yield. Sure, you will never regret not following Shankar Sharma. so what happened suddenly to equities , great way to confuse investors , so that he can buy low.Seems like he has lost lot of money in PSU Banks which he was advocating to buy a few months ago. Sooner or later thanks….Mr. Shankar sharma realise the fact. Mr. Shankar sharma realise the fact. Shankar Sharma live on Equities and he says that…… what a surprise.